Bella tries to get over Edward by going on what becomes a three-way date with Jacob and Mike Newton. 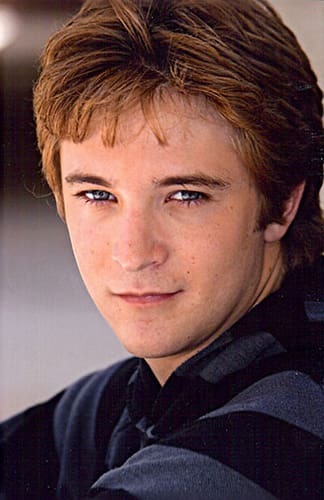 In a new interview with MTV, actor Michael Welch - who plays Newton - goes into detail about the outing. He specifically explains the unique movie-within-the-movie that viewers will see on the big screen. On the date, Bella, Mike and Jacob take in a horror film. But director Chris Weitz chose to actually insert his own made-up film into the mix. "The film is called Face Punch," said Welch. "It's an action film. We started out with a few other comical names, but it turned out those were actual films so we couldn't use those titles." Does this fake movie play any significant role in the story? No. But are fans clamoring for every nugget of New Moon news they can get? Oh yes.